The obelisk of General Robert E. Lee represents more than just a memorial; it represents the lingering presence of white supremacy in America. It represents the power structures that the Confederate Army was fighting for. Racial superiority based on genealogy. Racism normalized. Perpetuation of Black enslavement. Racial violence. So when the debate was first sparked to take down this symbol of prejudice, more than just a piece of stone was being threatened. It represents the lingering presence of white supremacy in America. It represents the power structures that the Confederate Army was fighting for. 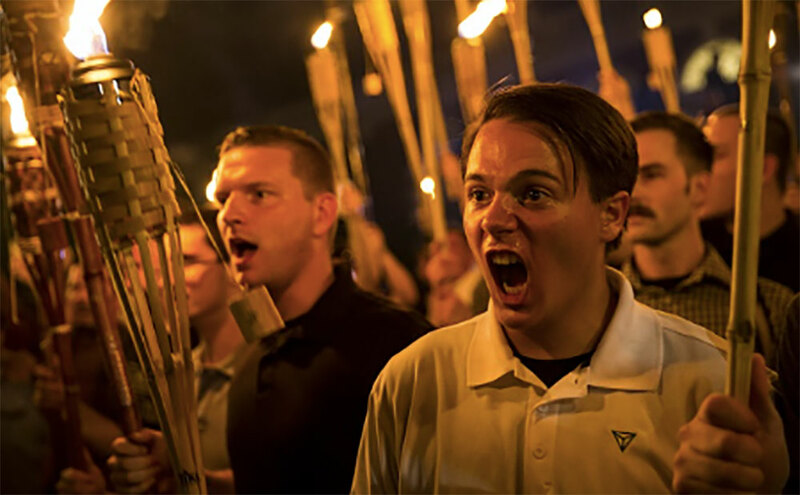 “You will not replace us”, “Jews will not replace us”, “Sieg heil”, and “blood and soil” were some of the chants that reverberated on the University of Virginia campus at a white nationalist rally, with hundreds brandishing torches, the night before the clash. If we are wondering how the violence was ignited in Charlottesville on August 12, it did not begin when protesters clashed. It did not begin with a push or a punch. It began with the language of violence lit with fire and fury. The violence began when white nationalists refused to remove a symbol of racism. The violence began when symbols and slogans of Nazism were proudly echoed. The violence began when white nationalists attempted to normalize hatred and exclusion of every non-white category — from Blacks, to immigrants, to Jews, and so forth. "We condemn in the strongest possible terms this egregious display of hatred, bigotry and violence on many sides, on many sides. It's been going on for a long time in our country." Responding to Charlottesville is not easy, but it does not look like this. Responding to Charlottesville cannot be a broad sweeping statement that condemns violence without calling out the violators. Responding to Charlottesville cannot mitigate the violence and sow peace without acknowledging the history of violence and language of violence that has led us to this point. Responding to Charlottesville cannot allow the violence to go unnamed. Responding to Charlottesville cannot be a broad sweeping statement that condemns violence without calling out the violators. Though DJT made a follow-up address on Monday, declaring that racism is evil and acknowledging that groups that cause violence included the KKK, neo-Nazis, and white supremacists, he quickly equivocated this list with other hate groups. Soon after, he spiraled into a series of tweets complaining that his address should have ended the mass criticism of his initial address. This, in combination with his refusal to condemn David Duke and white supremacy when initially questioned during the Q&A after the first address, shows us clearly that the second address was a meager attempt to wash his hands clean of any blood. Notwithstanding, white nationalists had already read his unnaming as cooperation with their violence. Violence that goes unnamed looks exactly like this address. The lines demarcating perpetrator and victim becomes blurred. A declaration of #BlackLivesMatter is not the same as saluting “Sieg Heil”. A decision to remove a symbol of hatred is not the same as a protest to maintain a legacy of slavery. A counter-protest cannot justify any person to strike a crowd head on with their vehicle. Maybe hatred was displayed on both sides; but hatred was manufactured by only one side. When we walk away from Charlottesville with violence unnamed, we affirm that a hatred-driven language of “justice” is equivalent to justice for the historically oppressed. We become complicit in this violent injustice. It has to be named. A declaration of #BlackLivesMatter is not the same as saluting “Sieg Heil”. We should condemn everything and anything related to white nationalism and white supremacy. Any violence directed against people categorically considered a minority is violence directed at every minority. White supremacy in Charlottesville is violence against Blacks, but is likewise violence against immigrants, against Asians, against Latinos, against Native Americans, and against Jews. This violence has to be addressed. But in no place are we more responsible to address, and name, this violence than in the church. Any violence directed against people categorically considered a minority is violence directed at every minority. In the Beatitudes, Jesus suggests that the peacemakers are the ones who will inherit the earth. In a letter to the Corinthian church, the apostle Paul calls us ambassadors of reconciliation. This kind of reconciliation does not only include reconciliation with God, but also reconciliation with the rest of humanity. Peacemaking, as evidenced in the scriptures, should be in our DNA. Unfortunately, what we see in the history of the American church is the perpetuation of Black, Asian, Mexican, and immigrant oppression and the belief in white supremacist theology grounded in the colonial ideas of manifest destiny. And although the church has played some redemptive role in pursuing social justice, we still have scores of Americans — 81% to be exact — who identify as evangelical Christians and who voted for a man knowing that he chose a white nationalist to sit as senior adviser in the White House. Though peacemaking may be in our DNA, we have not always chosen to operate with it as a guiding fabric. Unnamed violence is in itself very violent. This kind of perhaps well-intentioned, non-explicit “peacemaking” strategy exacerbates violence. Unnamed violence is what births ideas like the “reverse racism myth” — a supposed ethnic or racial minority’s racism against a historically dominant racial group. Unnamed violence is what births ideas like #WhiteLivesMatter — a racist response to the Black Lives Matter Movement. Unnamed violence empowers the historical oppressor to rewrite themselves as the victim in order to justify their work of oppression as a fight against “violence” rather than confronting the violence within themselves. Unnamed violence empowers the historical oppressor to rewrite themselves as the victim in order to justify their work of oppression. Naming the violence explicitly and confrontationally is biblical. We see it in Moses when he calls out the oppression of Pharaoh upon the Israelites. We see it in Jonathan when he calls out his father Saul for his violence on David. 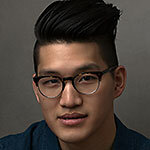 We see it in Nathan when he calls out the violence David waged on Uriah by taking his wife. Peacemaking cannot be a moral gesture that expresses a broad-ranged sentiment. None of these characters would have furthered progress on peace if the violent was exonerated for their violence and left to their own devices. When we name the violence, not only can we begin restoring the victim with appropriate justice, but we also begin transforming the violent from their violence. We the church have indeed pushed back against the violence of racism, but we have also been complicit in the violence; so in naming the violence of Charlottesville, we also have to name our own violence of silence and our violence of unnaming. In naming the violence of Charlottesville, we also have to name our own violence of silence and our violence of unnaming. Months ago, the Southern Baptist Convention (SBC) decided to practice this corporately by naming the violence of white supremacy. It required a full day for the SBC to get a majority decision that white supremacy and the alt-right movement should be denounced. Some, like Lawrence Ware, felt that if there would be any delay or hesitation in a denomination to denounce a framework that blatantly and categorically hates Black people, it was not the place for them. If we are wondering when the time is right to denounce the violence of white supremacy in America within our churches, we cannot wait. Now is the (belated) time. If we have not yet addressed the violence of Charlottesville and named it as white supremacy — as racism — let us not wait until it is socially acceptable to denounce violence. It may not ever be convenient. And when the ‘right time’ indeed comes, it may be too late.